P.S. this is the last episode of Season 4, we’re taking a short break and Season 5 will be starting in a few short weeks. Also, make sure to subscribe and stay tuned for a bonus episode during the break. Amanda Lindsey Cook invites us into a conversation on her life and journey the past few years. In this vulnerable episode, Amanda talks about the art of discovery and awakening from pain, which inspired her newly-released album House on a Hill. Be inspired as Amanda discusses the value of vulnerability in songwriting and worship, and the importance of having an integrated, authentic soul in your creativity. Listen to Hannah Hobbs talk to artist Leanne Thomas, about progressing into a creative career. Leanne is a professional painter with great expertise on the art of developing your craft and finding gold in your everyday, ordinary life to inspire creativity. Make sure to stay tuned for the extended Q&A segment afterwards, where Rich & Cass Langton and Autumn Hardman take plenty of time to answer YOUR questions. In this panel of a lifetime, Hannah Hobbs chats to Bobbie Houston, Amanda Cook, Joel Houston and Laura Toggs about the God ideas and the edge of the prophetic in our creative quests. Listen to the panel discuss how the quiet spaces of their lives and the conviction truths of the gospel fuel and maximise their prophetic edge in creativity. If you’re constantly chasing after the new thing, this episode will show you how to release yourself to create from a place of simplicity and curiosity, remembering instead timeless revelations that simply need a fresh perspective. As creatives, what does it take to fulfill the call on our lives? Muchiri (Mush) is the oversight for Creative Technology at Hillsong Church in Australia. Originally from Nairobi, Kenya, Mush shares the inspiring but everyday lessons that have kept him in God’s lane for over 15 years. In this episode, learn about how we are ALL worship leaders, whether we are singers, production engineers, lighting operators, etc. Listen to Mush talk about the weight of the ministry, pursuing our dreams, burnout, and the ability to lead a creative technology team at any capacity. Make sure to stick around after the message for the bonus Q&A segment in Season 4, where Rich and a special guest take time to answer YOUR questions! Salomon Ligthelm is a world-class filmmaker, once a musician turned visual storyteller. In this episode, Salomon talks about his recent venture into the art of feature films, script writing and his latest film project. He is passionate about creating pieces that explore people’s journeys and telling stories that matter. Learn about his inspiration and creative process, his necessity for cathartic expression, and his quest to make faith and creativity work together. Season 4 kicks off with a very special message from Cass Langton, our Global Worship & Creative Pastor. In this episode, get behind the scenes with the Hillsong Creative team, as Cass shares her heart for our team this year. Be ready to be challenged and inspired as she unpacks the five R’s for 2019: risk, resilience, relationship, reverence, revival. 034 This could be the one! In Australia and across the interwebs, this is the week where we’re all together! This bite-sized episode will give you all the info you need for Worship and Creative Conference - get the inside scoop from Cass, Rich, & Auts on what to expect this week, and how you can get the most out of Conference. If you’re not coming to Sydney, don’t worry - you can still be a part of it, from wherever you’re listening. P.S. This is the last episode for Season 3, thanks for listening so far and look out for Season 4 coming at you soon! There will be plenty more exclusive interviews with special guests, and a brand new Q&A segment with your host Rich Langton. If you’ve got any questions for our creative team, download the Anchor app on your smartphone to leave Rich a message, and he’ll answer it in future episodes. Have you ever been inspired to do something, to create, but that’s as far as it ever goes? Tony Irving found himself inspired, but has spent years turning it into action, cultivating his craft, pursuing and unwrapping the creative gift that God has given him. He’s now a world-renowned landscape photographer, and in this episode, he shares insight into his journey and the lessons he’s learnt along the way. If you’ve got any questions for Rich, download the Anchor app on your smartphone to leave him a message, and he’ll answer it in future episodes. So many people dream and aspire to have their creativity influence thousands, maybe even millions. But what does it really take? In this week’s, we bring back the one and only Chris Tomlin, just as his new album “Holy Roar” is released. In this in-depth interview, Chris talks about his journey so far and the sacrifices he’s had to make along the way. If you’ve got any questions for Rich, make sure to download the Anchor app on your smartphone to leave him a message, and he’ll answer it in future episodes. Join Julia A’Bell, lead pastor of Hillsong Australia, as she shares how she manages the different seasons of life; from laying down her role as a worship leader to her life as the pastor of Australia’s largest church. She talks about the Holy Spirit’s role in inspiring innovation, and how collaboration, on every level, can bring the most creativity to the table. Make sure to stick around after the interview for the special segment in Season 3, “Psalms of Ascent”, and join the #100daycreativechallenge as we prepare for Worship & Creative Conference 2018. In today’s episode we chat with Gary Clarke, who is the lead pastor of Hillsong in the UK. He talks about how we, as the Church, need to use the arts to influence and shape the culture around us, and how “seasonal calling” looks attractive, but may not be as valid as we think it is. Make sure to stick around after the interview for the special segment in Season 3, “Psalms of Ascent”, and join the #100daycreativechallenge as we prepare for Worship & Creative Conference 2018. Fady Hanna, founder and managing director of Flagship Digital, an international communication and marketing strategy firm that is one of Australia’s fastest growing businesses, 3 years in a row. He’s twice been named Young Entrepreneur of the Year, and is on the cutting edge of an industry that prides itself on being cutting edge. He encourages us to dream big dreams, but, as creatives, to focus more on the step-by-step process to fulfill those dreams. Make sure to stick around after the interview for the special segment in Season 3, “Psalms of Ascent”, and join the #100daycreativechallenge as we prepare for Worship & Creative Conference 2018. What is the enemy of creativity? Jay Cook, the creative pastor of Hillsong UK, helps answer this and many other questions from his 17 years experience on the team. He shares his insight on the unique challenges, sacrifices, and lessons involved in leading and serving on a creative team. Make sure to stick around after the interview for the special segment in Season 3, “Psalms of Ascent”, and join the #100daycreativechallenge as we prepare for Worship & Creative Conference 2018. In this episode, we interview Duncan Corby, the Academic Dean of Hillsong College. He has a Masters in Theology and a passion for worship and art in the Church. With over 20 years experience as a Hillsong College lecturer, he loves helping people develop a biblical faith that is relevant to our modern world. This conversation with Duncan and Rich talks about our responsibility as Christian artists to create meaningful art. Make sure to stick around after the interview for the special segment in Season 3, “Psalms of Ascent”, and join the #100daycreativechallenge as we prepare for Worship & Creative Conference 2018. 026 More than entertainment - ft "Finding Faith"
This week we hear from Andrew Tierney and Tim Dunfield of the band “Finding Faith”. Andrew is one of the original members of the Australian pop band Human Nature, which has toured internationally with Celine Dion and Michael Jackson, and have just completed their 1500th show. Tim has a background as a worship and teaching pastor, and their conversation covers many practical lessons any creative can learn from and apply. Make sure to stick around after the interview for the special segment in Season 3, “Psalms of Ascent”, and join the #100daycreativechallenge as we prepare for Worship & Creative Conference 2018. This week’s episode is with Caitlin Crosby, founder and CEO of The Giving Keys. She’s a mother, actress, musician, entrepreneur and has been featured on Oprah’s Supersoul 100, Ellen, and TEDx talks. Caitlin’s passion for helping others led her to employ homeless people to start making jewelry. Now 10 years later, The Giving Keys has grown into a thriving fashion business, and has helped over 100 of its employees transition out of homelessness. Make sure to stick around after the interview for the special segment in Season 3, “Psalms of Ascent”, and join the #100daycreativechallenge as we prepare for Worship & Creative Conference 2018. This week’s guest is world-renowned songwriter and worship leader Chris Tomlin. In the last 3 decades, there are few who have had as much impact on Christian music as Chris, having given the global Church worship anthems such as How Great Is Our God, Indescribable and Amazing Grace (My Chains Are Gone). In this wide-ranging interview with Cass Langton, you’ll get to know Chris as much more than a musician, as he walks listeners through key stages of his life, whether it be the start of his marriage or the creative process to writing many of his songs. Make sure to stick around after the interview for the special segment in Season 3, “Psalms of Ascent”, and join the #100daycreativechallenge as we prepare for Worship & Creative Conference 2018. Listen to Eric Liljero, the creative pastor of Hillsong Sweden, as he shares how a tragedy in Scandinavia helped inspire one of the worship anthems of this generation, Cornerstone. Eric unpacks the defining moments that have taught him the importance of patience and authenticity, and how he’s learnt to use creative rejection and disappointments to fuel his own personal growth. Make sure to stick around after the interview for the special segment in Season 3, “Psalms of Ascent”, and join the #100daycreativechallenge as we prepare for Worship & Creative Conference 2018. Leighton Ching, Art Director and Lead Graphic Designer at Passion City Church and sixstepsrecords, has created the artwork that millions of people would recognise, including for Louie Giglio & Passion, the Jesus Bible, and major Christian artists like Chris Tomlin, Matt Redman, Christy Nockels and more. He discusses his extensive journey to discover and develop his craft. Self-taught in his trade, Leighton talks about what it looks like to learn from leading artists, honing in on skill sets and maturing behind the scenes. Leighton shares the importance of staying faithful and diligent to the work, pressing on toward the goal. Make sure to stick around after the interview for the special segment in Season 3, “Psalms of Ascent”, and join the #100daycreativechallenge as we prepare for Worship & Creative Conference 2018. Ben & Alissa Poppett, founders of Wanderers Travel Co., talk about the startup what the journey looked like to turn a dream into a thriving, inspiring business. They share about the importance of excellence in every bit of the process including scaling and growing a team, and the reality of what it takes to build a brand to be proud of. Make sure to stick around after the interview for the special segment in Season 3, “Psalms of Ascent”, and join the #100daycreativechallenge as we prepare for Worship & Creative Conference 2018. Season 3 of the Podcast kicks off with an interview with JD from Hillsong United. Known around the world for his passionate worship leading, he shares his journey of confidence that is unshaken by the ups and downs of life and opportunity, but rooted firmly in Christ. Make sure to stick around after the interview for the special segment in Season 3, “Psalms of Ascent”, and join the #100daycreativechallenge as we prepare for Worship & Creative Conference 2018. 019 Bonus - Special Announcement! In the final episode for Season 2, we have a signature message from Cass Langton, “The Art of Rescue”. Spoken at our first ever Worship & Creative Conference. She speaks to the heart and purpose of creativity, how we steward our gifts and find our creative callings. This special episode will inspire creatives in every artistic sphere, and stir imagination for how to pursue creativity that changes the world. Make sure to stick around after the message for the special segment in Season 2, “The Creative Compass”. Joel A’Bell, lead pastor of Hillsong Church Australia, reveals the catalyst that led him to a full stop in the process to find work/life balance. Joel shares on the significance of being interruptible so others can come and glean from the harvest in our life, and bring your best to your creativity. With a background in IT, he also talks about the power of technology, structures and systems to enable Christ-like growth, and in growing leaders, how talent is pinpointed before it’s developed. Make sure to stick around after the interview for the special segment in Season 2, “The Creative Compass”. Step into the world of innovative creativity on a budget and deadlines, with our resident stage design genius; Kris Mateika. Passionate about transforming church auditoriums into spaces that say “welcome home”, she shares insights into her creative process, working with a variety of teams to execute an idea, and going from the dreaming stages to scaling back an idea whilst maintaining its integrity. Make sure to stick around after the interview for the special segment in Season 2, “The Creative Compass”. Practice, practice, practice! In this special episode, we have a panel interview with 4 incredible guests from various creative disciplines including music, film creation, audio, and dance. They cover how to prioritize practice amidst full and busy lives, what their practice disciplines have looked like over the years, and debunking the myth that talent is everything. We get so many requests to share what we do at Team Nights, so we thought this was the perfect interview to share with our Podcast listeners! Enjoy this exclusive interview from Hills Team Night with Sebastian Strand, Tabitha Alfredsson, Chelsea LaRosa, and Muchiri Gateri. Make sure to stick around after the interview for the special segment in Season 2, “The Creative Compass”. Is there a place for art in devastated places? Join Jeremy Court, founder of the Preemptive Love Coalition, as he talks about the impact of art and story from his perspective on the front lines of providing aid in some of the most war-torn parts of the world. Hear him discuss how imagination threatens groups like ISIS as well as how making soap brought hope and transformation to an entire community. Make sure to stick around after the interview for the special segment in Season 2, “The Creative Compass”. Ben Nicholson, a highly accredited video director and creative producer, talks about his personal journey of starting out in the field and how he found himself working with Grammy-Award winning artists and events like the Super Bowl Halftime Show. Ben discusses the significance of finding a balanced rhythm in the midst of a fast-paced industry, prioritizing relationships and community in addition to task. Make sure to stick around after the interview for the special segment in Season 2, “The Creative Compass”. Hear Chris Davenport discuss the ins and outs of being the creative pastor at Hillsong NYC as well as the challenges that come with maintaining a healthy culture in an actively growing team. Working with a volunteer team in the city that never sleeps, Chris provides key tips to become an intentional leader, prioritizing detail and consistent communication in a creative environment. Make sure to stick around after the interview for the special segment in Season 2, “The Creative Compass”. Season 2 of the Podcast kicks off with a special interview with host Rich Langton. Rich and his wife Cass lead and pastor the Hillsong Creative team, with him focusing on the leadership of the team in Australia. He speaks vulnerably about his journey over the years and the unexpected paths in following Christ’s calling for his life. Rich shares passionately about creating a healthy team culture, where people are pastored and cared for alongside the stewarding of their contribution, including when tough conversations need to be had. Only days after its worldwide release, hear Brooke Ligertwood talk about putting together the new Hillsong Worship album “There Is More”. Along with discussing some of the new songs including “New Wine”, she explains the creative process behind the album, focused not simply on a theme but labouring to find which songs are right for this season. She shares her heart on finding new expression for unchanging, timeless truths as well as what it means to authentically worship & create from our own relationship with Jesus. P.S. This is the last episode for Season 1 of the podcast. We’ll be back in a few weeks with more insightful interviews with a variety of guests, as well as some exciting new segments in Season 2! Ben Fielding, worship leader and Grammy Award-winning songwriter from Hillsong Worship, discusses the process of writing songs, and developing a culture of feedback and collaboration with other writers. Having penned some of the modern Church’s most wide-reaching songs like Mighty to Save and What a Beautiful Name, Ben unpacks the importance of melody and Biblical lyrics, and his heart for writing worship anthems that point people to Jesus. Join Brian Houston, founder and Global Senior Pastor of Hillsong Church, as he shares wisdom from over 40 years of ministry. Brian offers profound insight on partnering with God in dreaming for more for our lives and our creativity, which is the theme of his new book ‘There Is More’. He also talks about the process of building credibility throughout your life in both good times and bad as well as how life is founded on our consistent everyday decisions. In the second installment of this interview with Cass Langton, the Global Worship & Creative Pastor of Hillsong Church, we hear about the challenges and joys of leading talented and gifted individuals, and finding your own unique voice as a creative person. She gives insight on what it has meant to support the vision of leaders and senior pastors in her 20 years as part Hillsong Church. Cass also talks candidly about the dreaming and the preparation leading up to Colour Conference and collaborating with Ps Bobbie Houston, as well as sharing her reflections and heart for the annual Hillsong Worship and Creative Conference. 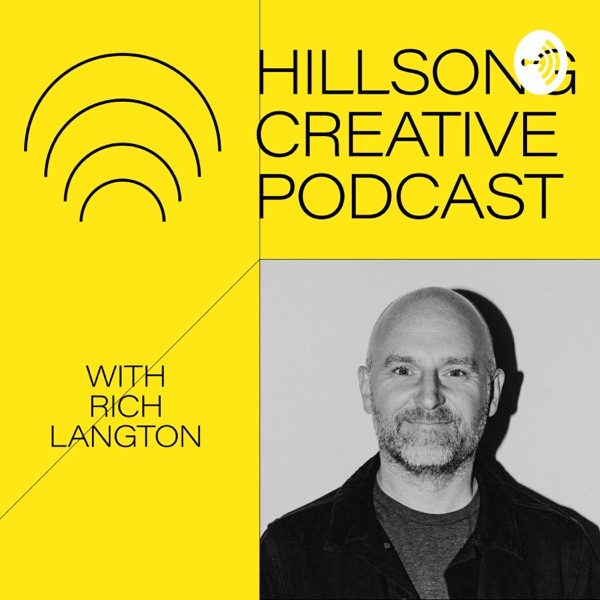 In the first of a 2-part interview with Hillsong Church’s Global Worship and Creative Pastor, Cass Langton talks about the importance of developing a Christ-centered and inclusive creative team. Cass shares milestones and wisdom gathered from her own journey into creative leadership, highlighting the significance of “hidden seasons,” building margin to continually hear from God, and her heart for creatives in the Church. Hear David Whitworth dive into the role of a recording and travelling musician with Bethel Music, keeping a fixed vision while dealing with setbacks and the need for constant output. David shares his personal experiences of collaborative music creation and developing a unique creative rapport with different artists. He talks about the importance of having a creative outlet and finding new ways to stretch his craft of musicianship. Jay Argaet, Global Communications and Art Director of Hillsong Church, unmasks the execution of creating a visual identity for the church. He talks about the importance of structure and parameters while pushing the limits of an oftentimes chaotic environment. Listen to Jay demystify the process to harvest wild ideas and dream for the impossible, including the tumultuous journey behind creating the artwork for Hillsong United’s recent album “Wonder”. Pastor Charles Nieman is a man of discipline who learned the art of chewing on revelation before putting pen to paper. Hear Pastor Nieman share the journey of Abundant Life Faith Center, with over 30,000 members. He shares honestly and vulnerably about losing his wife to cancer, and the insights and lessons he’s learnt from this journey, including how to keep going and keep creating through the worst hardship in life. Listen to Stefan Kunz, lettering artist & teacher, as he shares the story of how he dropped a desk job to follow the call of God at the dawn of his creative pursuit. Stefan sees himself as somewhat of a brand manager for the kingdom of God, helping to visually and creatively communicate the message of the Gospel. With more than 200k followers on Instagram and creative partnerships with industry giants such as Apple, Adobe, & Hallmark, Stefan breaks down his own process in the hope of inspiring other creatives. In this heartfelt interview with Taya Smith from Hillsong United, she shares her journey of seemingly small beginnings that laid the foundation for everything she does now. She talks openly about the stretch and capacity of a busy, travel-filled life and the process of learning to rely on God in every season. She also explains how she’s learnt to bring her own story and revelation of Christ to the songs she has the opportunity to sing and steward.